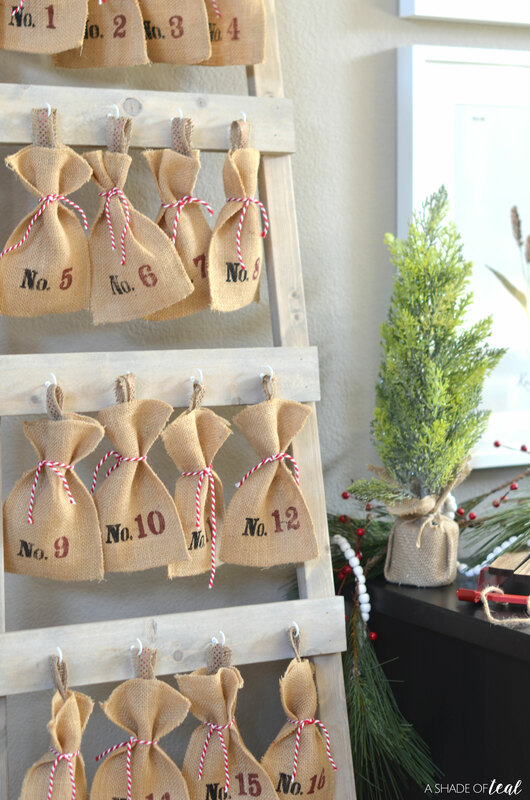 My Christmas decor collection seems to get bigger every year, yet one thing I don’t have is an Advent Calendar that can be used year after year. I tend to buy advent calender’s that are used once and then thrown away, so I really wanted and advent that was also a decor piece. 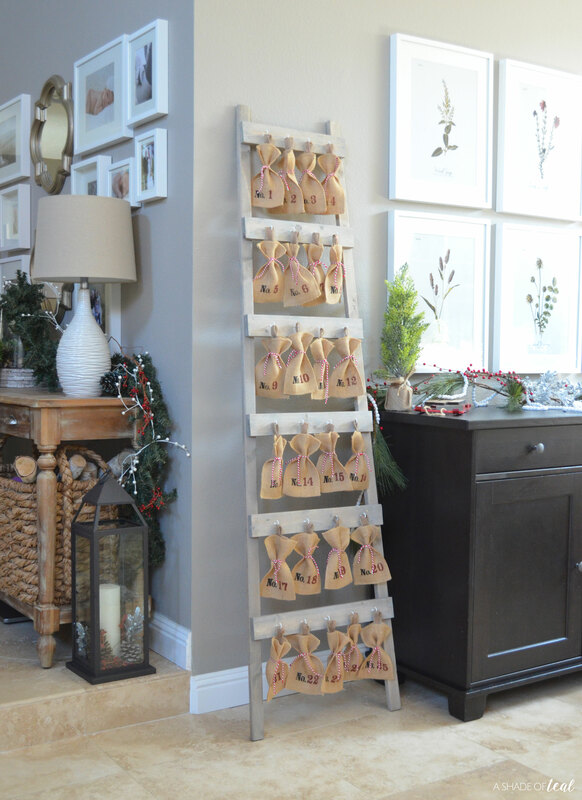 The only problem, the advent calendar I really wanted was from Pottery Barn and it has been sold out, since it’s a couple years old, but it was also way too expensive. So my solution was to build my own! 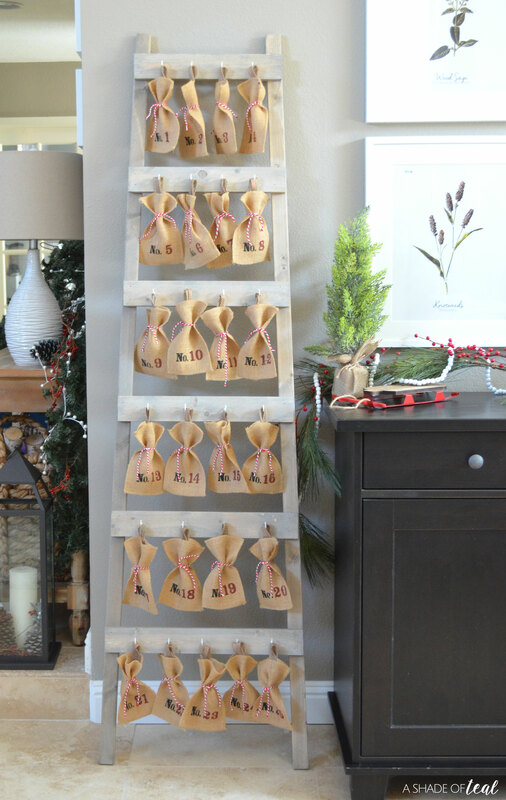 Here’s How to Build a Christmas Advent Calendar Ladder! 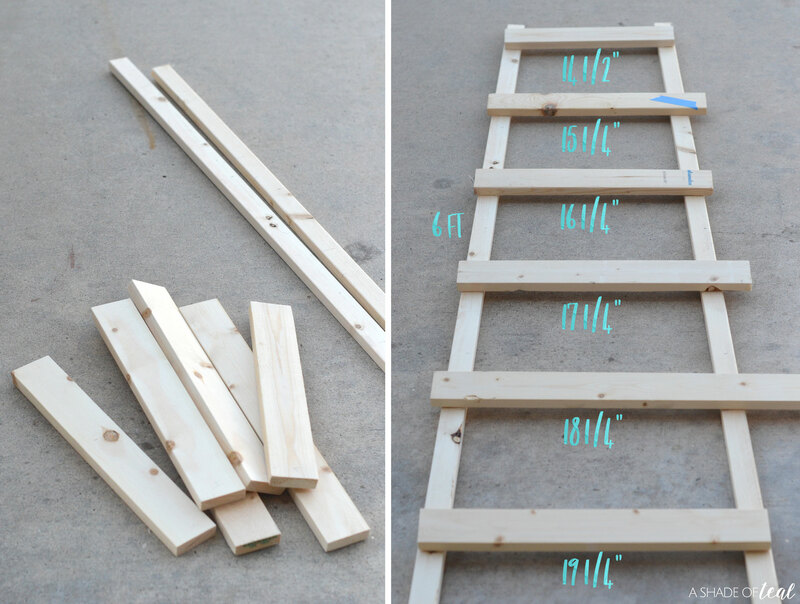 I then finished the wood before I built the ladder since I figured it would be easier. 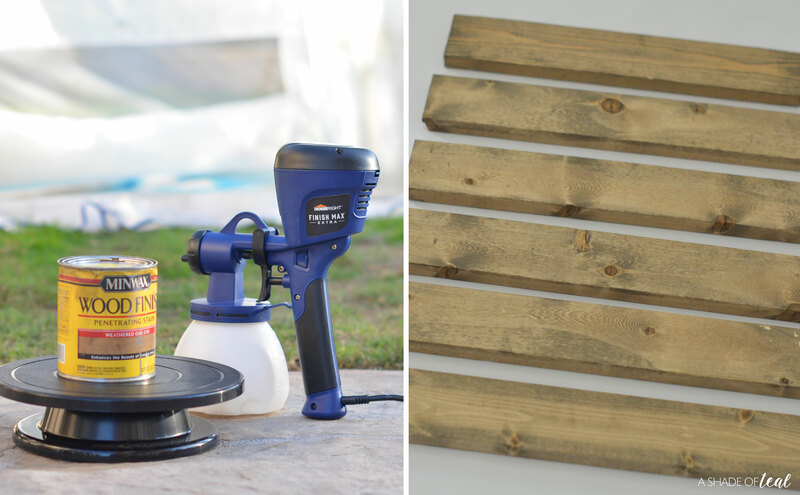 I ended up staining the wood first with my Super Finish Max Extra HVLP Paint Sprayer from HomeRight. I also used my Medium Spray Shelter and the Turn Table for Paint Spraying. 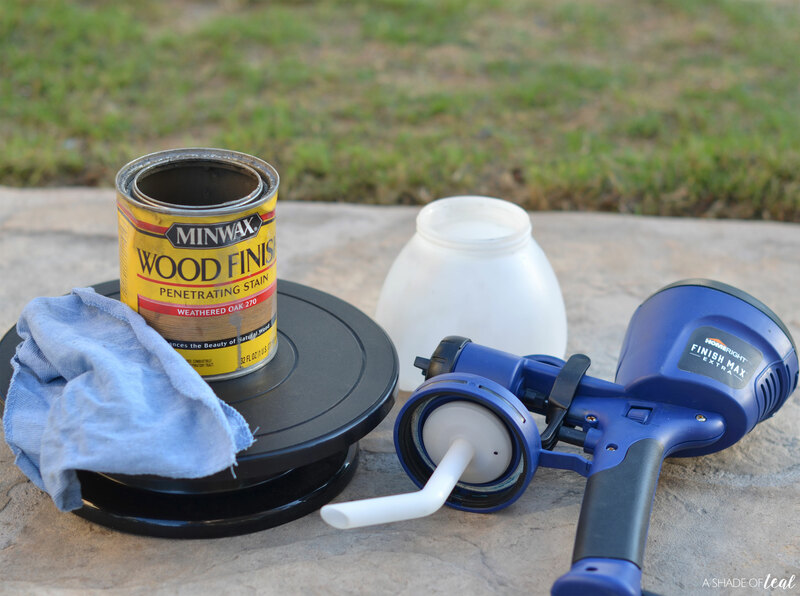 All of 3 of these items are my must haves when it comes to any spray stain/paint project. 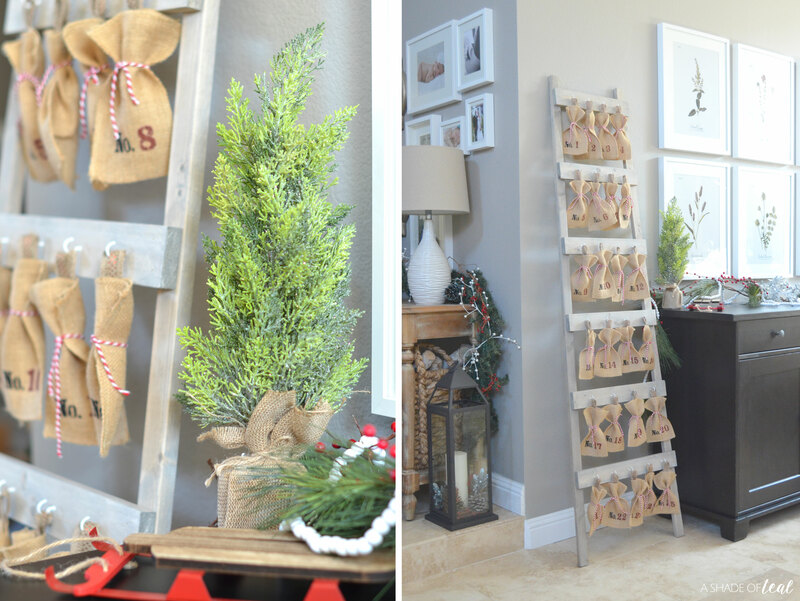 If you want to see all the details on how I stained & whitewashed my advent calendar ladder plus how to use HomeRight’s products, then head over to HomeRight’s DIY blog here. 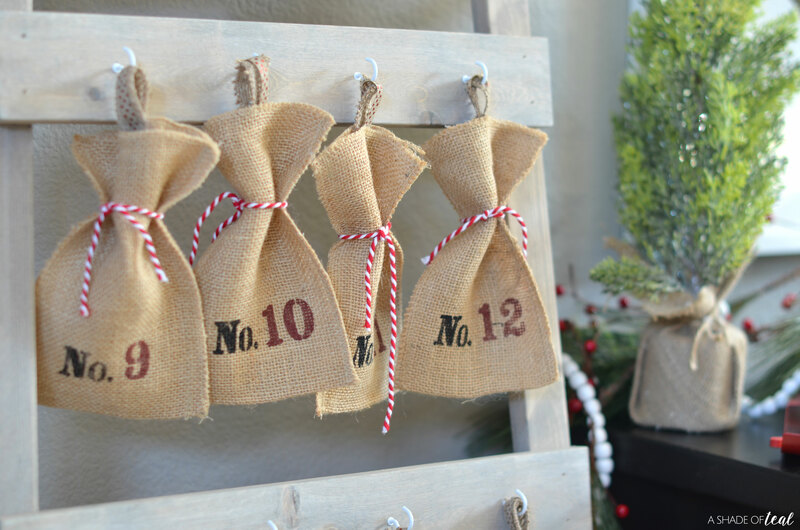 The first step was to stencil and paint the numbers on each bag. I found re-usable adhesive stencils for this project, and I never want to use another stencil without adhesive again! 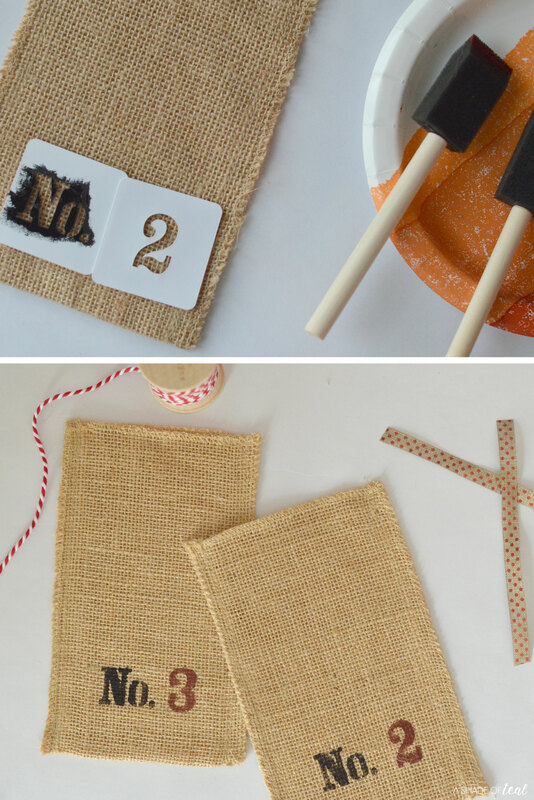 Next, I cut out ribbon, made loops, and then hot glued them to each of the burlap sacks. 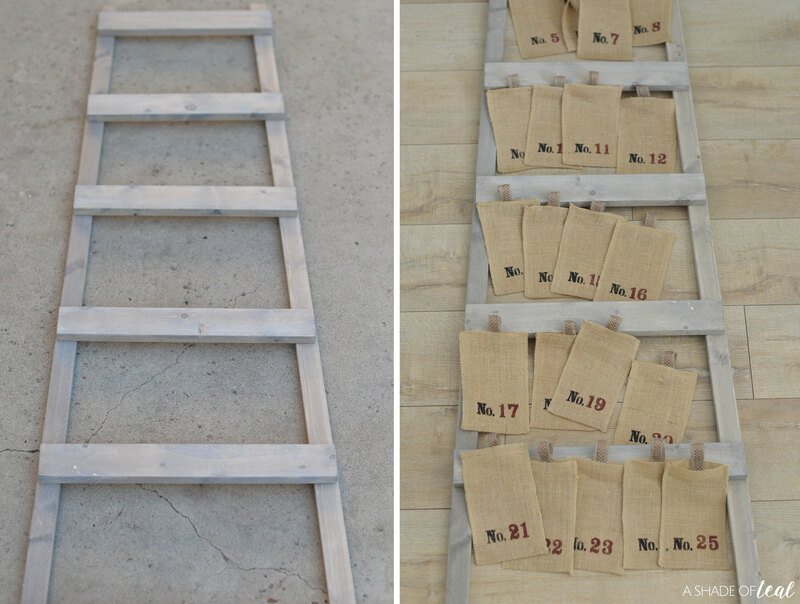 Once all the sacks were complete and the wood was completely dry I assembled the ladder. I used a little glue and a nail gun to fasten the rails into place. I then was ready to start hanging the sacks. I placed 4 bags per rail with 5 on the bottom. 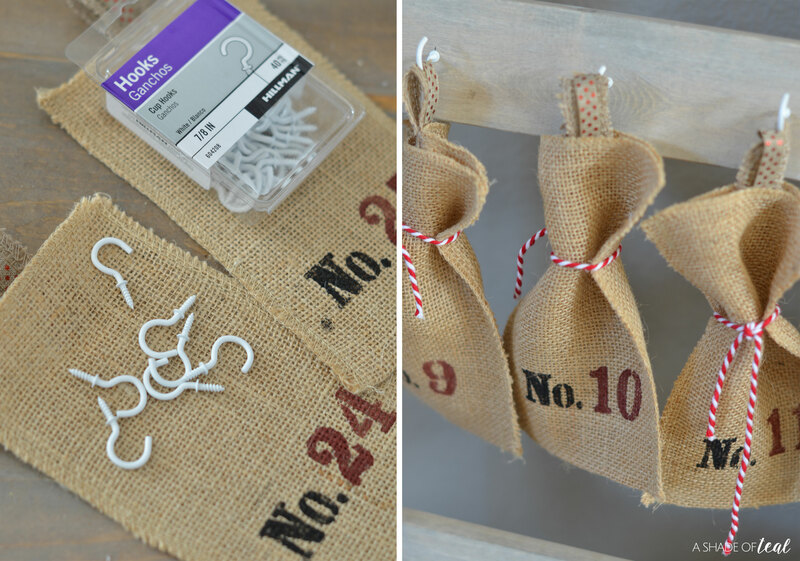 To do that I used 7/8″ small white screw hooks. I highly recommend pre-drilling the holes for a quicker process! 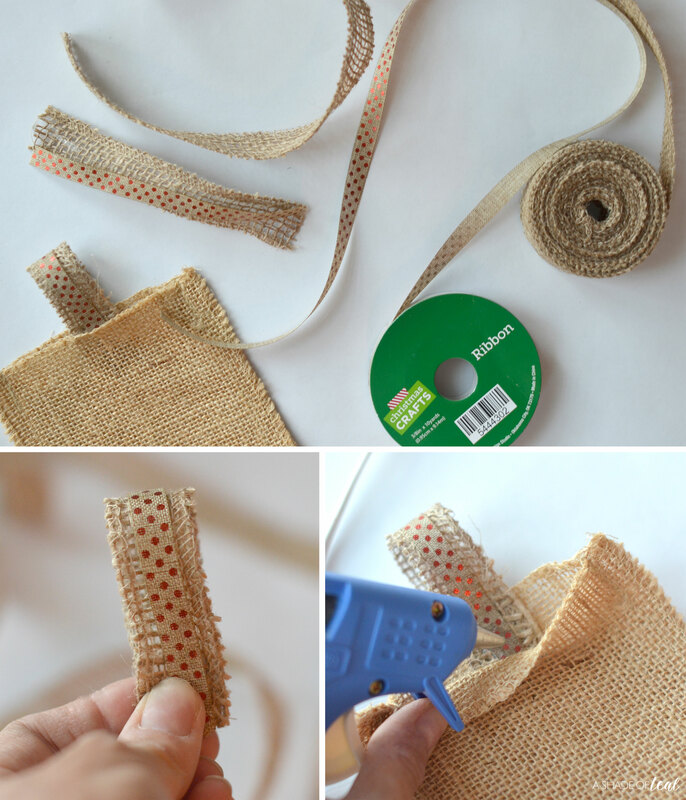 Finally, I added baker’s twine on each bag to keep my little one’s from peeking! 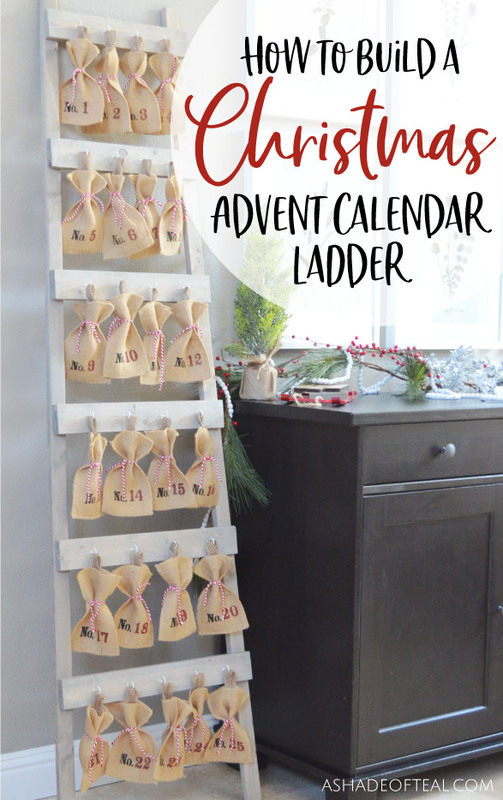 Here’s the complete Christmas Advent Calendar Ladder! 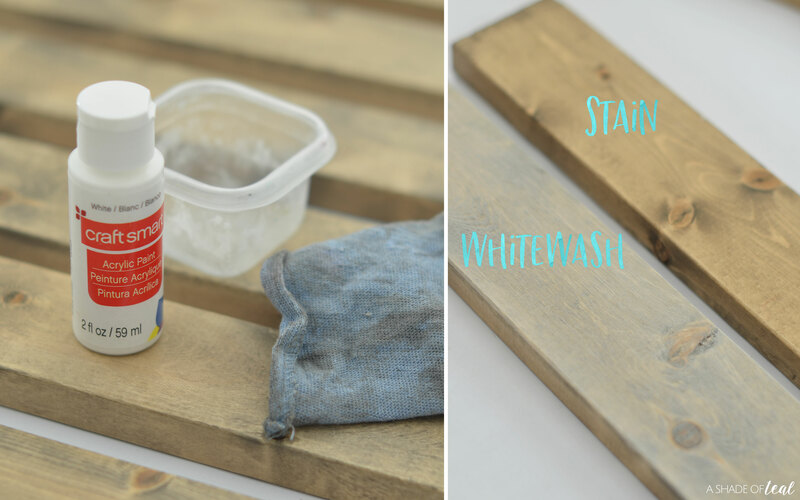 Make sure to head on over to HomeRight’s DIY Blog here to learn how to use the Super Finish Max Sprayer along with how I stained & whitewashed my ladder!